Humans take daily vitamin supplements. Just like you, your backyard chickens may need vitamin and mineral feed supplements too! Common feed supplements include calcium, grit, phosphorus, and salt, not including some vitamins. 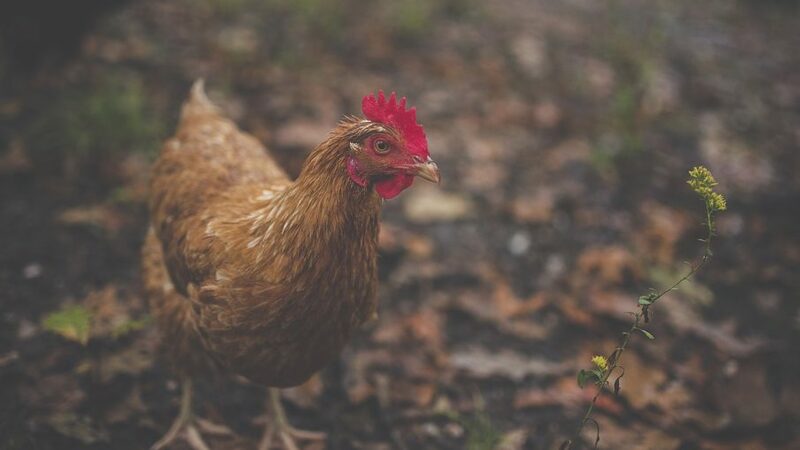 The following is a list of a few chicken feed supplements that are readily available to small-scale poultry farmers and backyard chicken hobbyists. Your layer hens need calcium to form strong, sturdy eggshells. Hens who don’t get enough calcium lay thin-shelled eggs, or eggs with no shell at all! The amount of calcium a hen needs varies with her age, diet, health, breed, and size. Older hens need more calcium than their younger counterparts, and hens in hot weather need extra calcium concentrations in their feed since they are eating less due to the heat. Since eggshells consist mostly of calcium carbonate, oyster shells and ground up limestone are good sources of supplementary calcium. Make sure you are not purchasing dolomite limestone, since this is harmful to egg production! Since chickens don’t have any teeth, this important supplement is needed for proper digestion. Grit is usually sold as small pebbles or large grains of sand. These hard objects are eaten by the chickens and lodged in their gizzard. When grains, grass, and other fibrous/hard vegetation are eaten, it passes through the rocks in the gizzard where it is ground up between the stone (much like teeth). Grit should always be available, even if you’re not feeding the flock heavily with grains and vegetables. Free-ranged chickens shouldn’t need this supplement. This vitamin is related to the assimilation of calcium and phosphorus and is needed for proper egg production. Deficiencies cause weak, thin eggshells. Vitamin D is found in cod liver oil and plenty of sunlight. Although this is a crucial vitamin, you shouldn’t need to feed extra amounts unless your chickens aren’t getting enough via sunlight or their feed. This is one of the B vitamins and is often deficient in normal poultry feeds. If you are a breeder, deficiency of this vitamin causes embryo death during the early stages of incubation. This important vitamin is found in dairy products, yeast, liver, and plenty of leafy green vegetables. It seems that supplementation in animals is being all too greatly overlooked. From my experience people are far more concerned with doling out ‘after the fact’ antibiotics rather than taking preventative measures (as you’ve suggested) to help ensure their animals remain healthy. Good post. We are pleased to contact you. As a manufacturer of food for livestock and poultry in Iran we would appreciate if you could let us have the price list of your vitamins suitable for our products. Your respond is appreciated in advance. 27 Parcham St.- Towhid Sq. Recently we’ve noticed that our egg yolks are a lighter yellow than the deep yellow practically orange color that we normally have. We haven’t changed feed, so I’m wondering what is causing the change… any thoughts?